Target has finally caved and will start accepting Apple Pay at retail very soon, alongside other major U.S. locations like Taco Bell and Hy-Vee. Apple Pay is rolling out now in Target's retail stores and will be available in all 1,850 locations across the U.S. in the coming weeks. Customers can use Apple Pay now at more than 245 Hy-Vee stores in the Midwest and inside the store at all of Speedway's approximately 3,000 locations across the Midwest, East Coast and Southeast. Apple Pay on the Web has been available at Target.com for some time. Testing at retail appears to have started in November 2018. 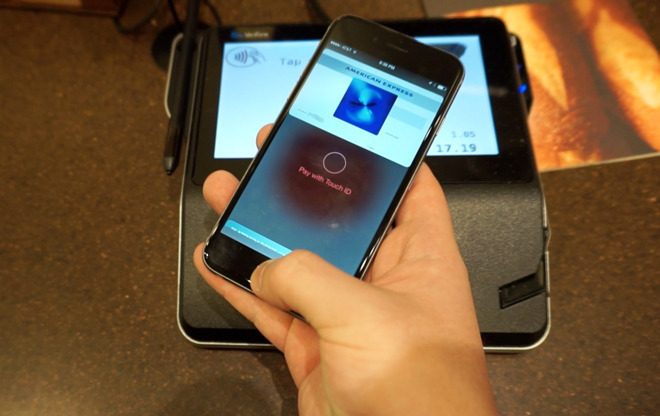 Apple Pay is also rolling out to more than 7,000 Taco Bell and 2,200 Jack in the Box locations in the next few months. "Whether customers are buying everyday household items, groceries, snacks for a road trip or grabbing a quick meal, Apple Pay is the easiest way to pay in stores, while also being secure and faster than using a credit or debit card at the register," said Apple's vice president of Internet ServicesJennifer Bailey. "We're thrilled even more customers will be able to pay at their favorite stores and restaurants using the Apple devices that are always with them." With the addition of these retailers, 74 of the top 100 merchants in the U.S. and 65 percent of all retail locations across the country will support Apple Pay. Target's decision to support Apple Pay could be considered an admission of failure to take on Apple with its own payments platform. The retail chain introduced its "Wallet" mobile payments platform in December 2017 as a way for customers to pay using their mobile devices. Using QR codes, the system allowed customers to provision Target REDcards on their device, which could be scanned at the checkout. Target was joined by Walmart in favoring an earlier payment technology developed by the Merchant Customer Exchange consortium, which counts both chains as founding members. The result, CurrentC, was touted as an Apple Pay competitor, but the project died in June 2016 before being sold to JPMorgan Chase the following year.